NASA announces next Mars Rover to Have 23 ‘Eyes’. When NASA’s ‘first rover outside of Earth-Moon system’ Mars Pathfinder arrived on Mars in 1997, it had only five cameras onboard. It’s obvious, until now camera technologies have taken huge steps foward worldwide and, of course, NASA is going to advance. The 2020 Mars mission will have more “eyes” than any other rover built until now. What are they for? Well, creating sweeping panoramas, studying the atmosphere, assisting science instruments and revealing new obstacles will be just a few new characteristics for the new rover. For the first time, there will be a camera inside the rover’s body, which will study samples as they are stored and left on the surface for collection by a future mission. “Camera technology keeps improving. 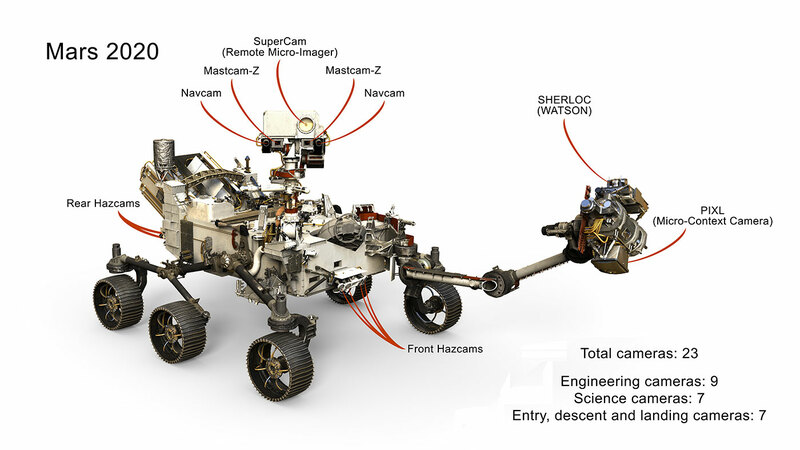 Each successive mission is able to utilize these improvements, with better performance and lower cost,” said Justin Maki of JPL, Mars 2020’s imaging scientist and deputy principal investigator of the Mastcam-Zinstrument. Jim Bell of Arizona State University, Tempe, principal investigator for 2020’s Mastcam-Z said that he is absolutely “involved” for an improved version of Curiosity’s high-definition Mastcam (the rover’s main eyes). “Routinely using 3-D images at high resolution could pay off in a big way. They’re useful for both long-range and near-field science targets.” Bell said. 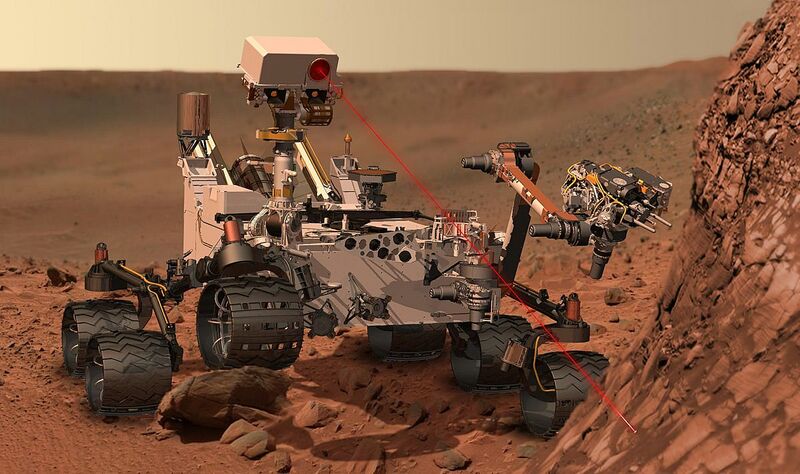 Past rovers like The Spirit, Opportunity and Curiosisty were designed having cameras for planning drives and avoiding hazards (navcams and hazcams). These produced 1-megapiel images in black and white. The new rover (it doesn’t have a name yet) is upgraded to acquire high-resolution 20-megapixels color images. “Our previous Navcams would snap multiple pictures and stitch them together. With the wider field of view, we get the same perspective in one shot.” said Colin McKinney of JPL, product delivery manager for the new engineering cameras.